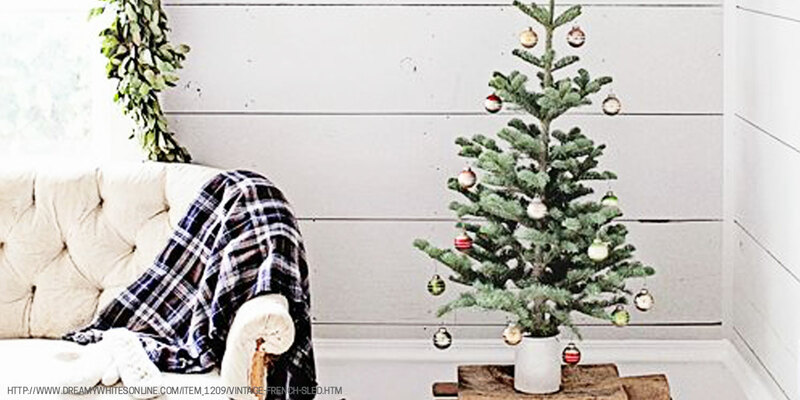 Home holiday décor doesn’t have to be big, bold, and overdone to make a statement. Sometimes, it’s the simple touches that make a home feel warm and festive. Take these natural wreaths, for example. 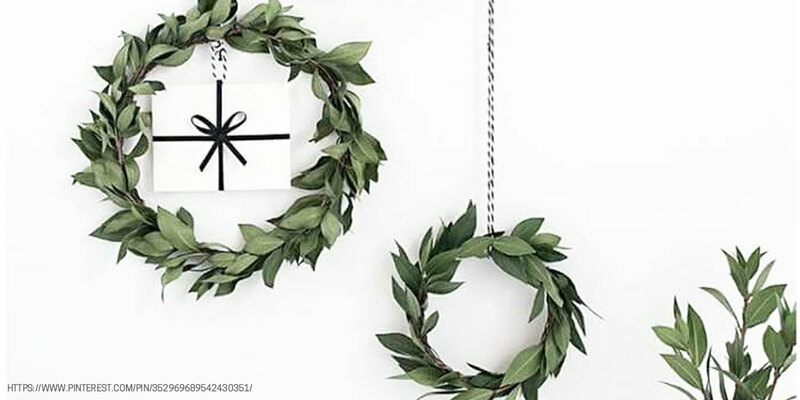 Dressed up with tiny white presents and hanging by black-and-white rope, these little beauties will capture anyone’s attention at the front door. Plus, you could easily trade the branches seen here for seeded eucalyptus or pine and hang with red or wine-colored ribbon to make it more your style. 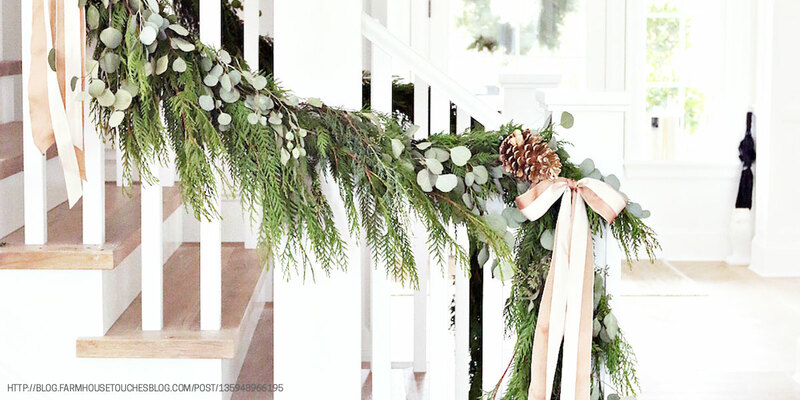 This swanky garland is effortlessly festive. We’re loving this combination of pine and seeded eucalyptus, dotted with oversized pine cones. Loppy bows in cream and blush ribbon remind us that the holidays are here and instantly take this natural garland from woodsy to festive. Dry this garland and you can use it for seasons to come! There are infinite ways to dress up a mantle for the holidays, but we like the simplicity of this one. Long-needle pine clippings surround these small yet elegant white taper candles. 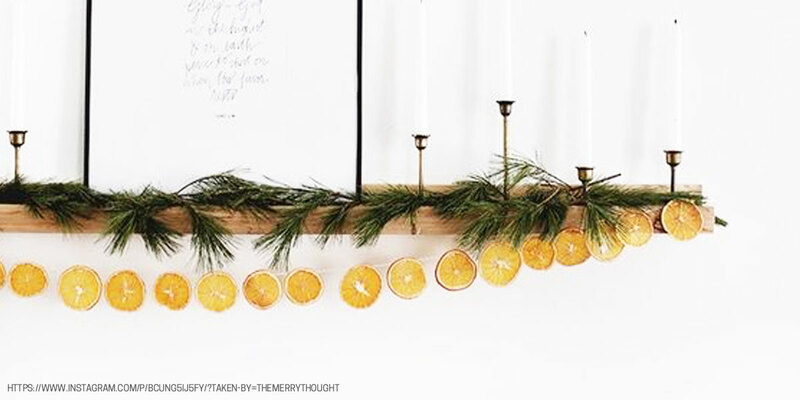 Dried orange slices complete the ensemble and bring warmth to this winter décor. 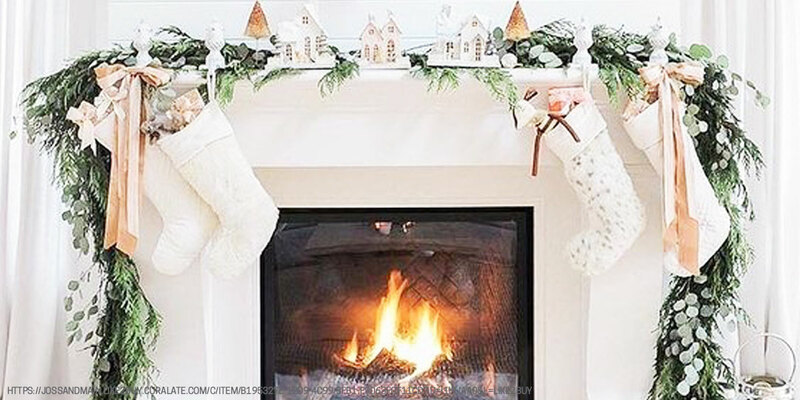 Frame your favorite Christmas carol, a photo of a winter landscape, or display a vintage mirror and you’ve got a mantle that’s personalized to your family and your style. There is something about a glass cloche (pronounced klōsh) that instantly feels magical. They’re similar to snowglobes, except you can put whatever you want in them because they’re essentially round, removable, glass lids. 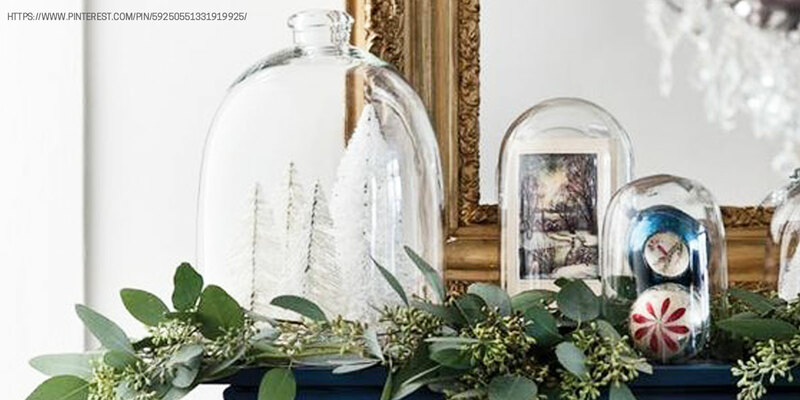 Display an old holiday postcard, tiny white trees, or vintage ornaments in glass cloches on your mantle or dining room table and your home is sure to feel like a winter wonderland. A cousin to plaid, gingham can make any home feel like a cozy cabin. And you don’t have to use much of it. 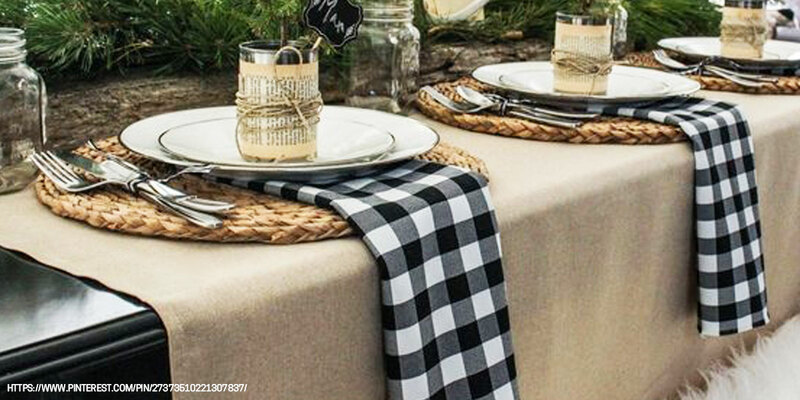 As you can see here, just a simple, black-and-white gingham napkin does the trick for this table setting. Accompanied by Mason jars, dried grass placemats, and an evergreen runner . . . it almost doesn’t matter what the food tastes like—we’ll be right over for dinner! Skip the bold red this year and try a more subtle palette. Dark, bold, or bright colors can sometimes feel tacky or cheesy. But the softness of these tones makes the home feel elegant and sophisticated—and most importantly—ready for the holidays. Jazz it up with some white twinkle lights or taper candles and you’ve got holiday décor that is simple with just a hint of romantic. Who says you have to have just one Christmas tree? And who says it has to be super decorated? This holiday décor screams less is more. The simplicity of this potted pine branch is perfect for the minimalist. The best part is that this decoration is easily customizable. This example uses a small vintage can, which works great for a farmhouse style. But depending on the look you’re going for, you could use a wooden crate, a glass vase, or a natural woven basket. The possibilities are endless!